There are definitely health benefits from actively playing games. However, we haven't gone to the level of running all the various tests in order to support such a claim. Hopefully in the near future we can have a 3rd party validate this claim. What is the max speed on could effectively run on the Omni? The support ring is designed to prevent falling and injury, but depending on height, can it also displace some weight when running to reduce impact? It seems like it would have efficacy as a stand alone fitness platform, sans any game. I'm considering purchasing it for this purpose alone, but I'd like some more information with regards to what strain it can handle with athletic exertion. Thank you in advance for any stats! Hey @AtlasShrugs, welcome to the forum. 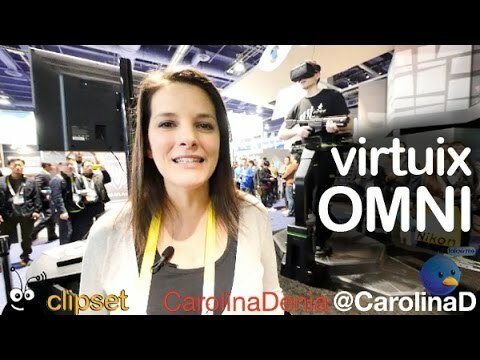 The Omni is the only VR treadmill that allows you to run at your max speed. There are no moving parts to the base, no motors to break down. The shoes are low friction so running faster does not push you noticeably harder against the support ring. I was using it for hours each day at CES so had to resist pushing myself to the limit. Still, you can see how effective it is as a fitness platform - I had to call out for refreshments about two minutes into this video. So lemme get this straight. The Omni is basically a low friction slope. We're basically running on slippery ground. Let's say a very well designed slope. And a bit more subtelty with the shoe's soles, with the high friction tip and all. so the tip of the shoe has a brake pad, much like an ice skating shoe?